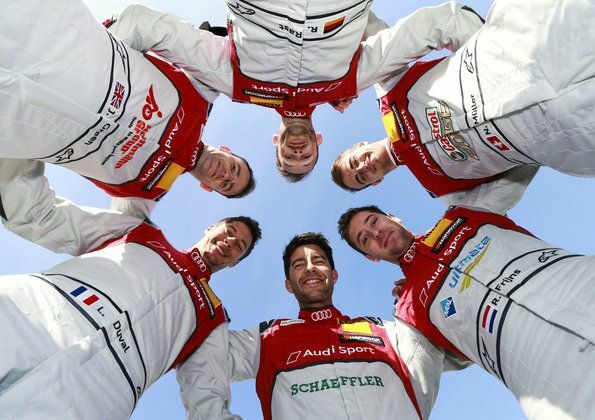 Audi Sport will enter the new turbo era of the DTM with a proven driver squad. Loïc Duval (F/36), Robin Frijns (NL/27), Jamie Green (GB/36), Nico Müller (CH/26), René Rast (D/32) and Mike Rockenfeller (D/35) have been confirmed as drivers for the 2019 DTM season. The previous pairings with the three Audi Sport Teams Abt Sportsline, Phoenix and Rosberg will remain unchanged as well. The new season will see the fielding of the more powerful turbo engine. “There’ll be many exciting innovations in the DTM next year,” says Head of Audi Motorsport Dieter Gass. “The more powerful engine will no doubt be the most significant one.” The first pre-season tests confirmed that at the wheel of the new Class One race cars the drivers’ performance is even more crucial than it used to be. 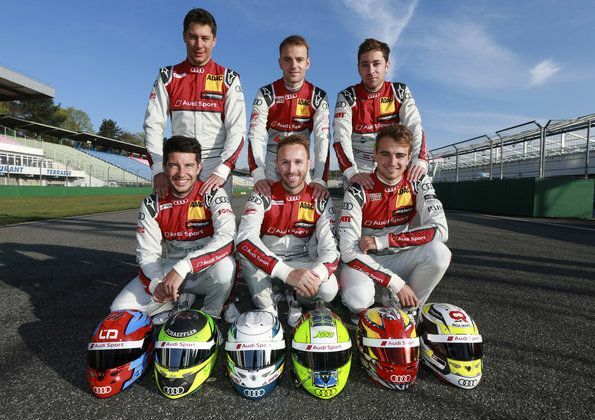 The Audi driver squad includes two former DTM Champions: Mike Rockenfeller (2013) and René Rast (2017). Four of the six Audi drivers have previously won DTM races. Combined, the Audi sextet’s track record reflects 32 victories, 26 pole positions and 42 fastest laps. 16 of the victories were achieved by Jamie Green. The team is bringing experience from 514 DTM races to the grid and has scored 2,573.5 points in the popular racing series to date. 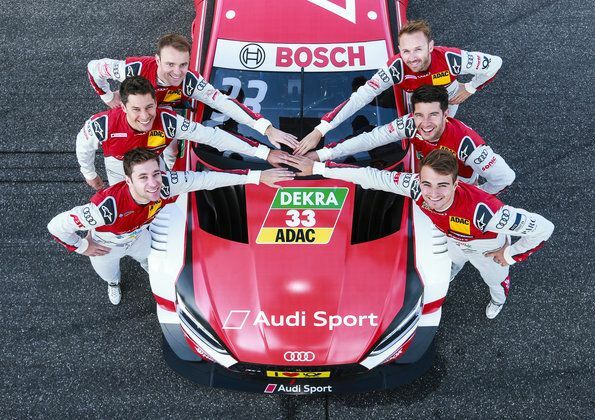 Audi’s customer team WRT will be fielding two additional Audi RS 5 DTM cars of the new generation. This team will announce its drivers at a later date. #28 Loïc Duval (F): * June 12, 1982 in Chartres (F); residence: Nyon (CH); married to Gaëlle, two sons (Hugo and Martin); height: 1.78 m; weight: 70 kg; Audi driver since 2012; 1st DTM race: 2017; DTM races: 38; pole positions: 1; victories: 0 (best result: 2nd place); fastest laps: 1; points: 76; DTM titles: 0. #4 Robin Frijns (NL): * August 07, 1991 in Maastricht (NL); residence: Maastricht (NL); single; height: 1.71 m; weight: 63.5 kg; Audi driver since 2015; 1st DTM race: 2018; DTM races: 20; pole positions: 0; victories: 0 (best result: 2nd place); fastest laps: 1; points: 84; DTM titles: 0. 70 kg; Audi driver since 2013; 1st DTM race: 2005; DTM races: 177; pole positions: 13; victories: 16; fastest laps: 23; points: 934.5; DTM titles: 0. #51 Nico Müller (CH): * February 25, 1992 in Thun (CH); residence: Bern (CH); single (partner Victoria); height: 1.85 m; weight: 73 kg; Audi driver since 2014; 1st DTM race: 2014; DTM races: 84; pole positions: 1; victories: 1; fastest laps: 4; points: 301; DTM titles: 0. #33 René Rast (D): * October 26, 1986 in Minden (D); residence: Bregenz (A); single (partner Diana), one son (Liam); height: 1.79 m; weight: 64 kg; Audi driver since 2009; 1st DTM race: 2016; DTM races: 40; pole positions: 5; victories: 10; fastest laps: 5; points: 437; DTM titles: 1 (2017). #99 Mike Rockenfeller (D): * October 31, 1983 in Neuwied (D); residence: Landschlacht (CH); married to Susanne, two sons (Phil and Paul); height: 1.75 m; weight: 68 kg; Audi driver since 2007; 1st DTM race: 2007; DTM races: 155; pole positions: 6; victories: 5; fastest laps: 8; points: 741; DTM titles: 1 (2013).